Vivo V11 Pro supports travel and selfie activities or selfie, with a dual 12MP and 5MP rear camera, and is equipped with various innovative settings and different features. For example, when exposed to intense light, backlight, or even minimal lighting, Dual Pixel technology and the Vivo V11 Pro HDR anti-backlight are increasingly adaptable to immortalized photos with precision and sharpness. Backlight Images or often referred to as "backlighting" are positions where the subject or object of the image is in a backward position or against the light source, whether it be natural light such as as sunlight or artificial light (lighting). Backlight conditions are often a bane for photographers because they can lead to failures. For example, the background is too bright or the subject / object is too dark. The first and most important aspect when taking photos is to understand the purpose of the photo and its placement. When taking pictures with facial objects, for example, make sure the position of the smartphone is slightly higher and leave room on the top of the head to maintain proportional outlines when taking pictures and minimize the backlighting the image results. It is of course possible to make beautiful pictures against the light if the photographer faces the light source and if the subject or object of the photo is in a position opposite to the light source. Choose the right background, use the frame / grid guide and feel free to explore the composition of the photo by trying to take pictures from different angles. Another important aspect is lighting. Even good photo objects may look dull and unattractive in minimal or excessive lighting conditions. In addition, without adequate lighting, users will have to redouble their efforts after taking pictures or changing their images to improve the image. For best results, maximize natural light to make the image livelier and brighter. When shooting outdoors, the best time to get the best shots is the golden hour, which is morning or one hour before sunset, when the light is soft and produces subtle shadows on the outside. object of the photo. These tips are very useful for novice photographers taking pictures for the first time against the light. Look for hidden light sources, partially or completely. Such light sources generally exist when blocked objects such as trees, buildings or other tools are blocked. Place the subject or object of the photo completely in the photo frame and return to the light source. The light will be reflected more beautifully and controlled in this way. 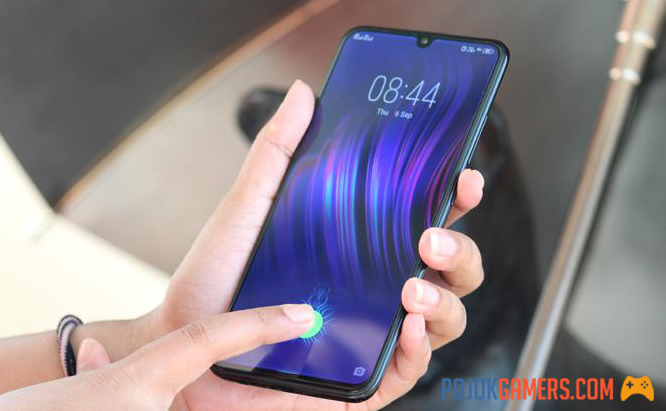 To meet the needs of more sophisticated mobile photography with the AI ​​HDR anti-backlighting feature, consumers can purchase the Vivo V11 Pro for Rs 4,999,000 and the Vivo V11 for R $ 4,499,000. Benefit from special offers before the 5th anniversary of the Vivo smartphone in Indonesia with a special promotion for Vivo V11 6GB / 64GB, with a discount promotion worth IDR 500,000. This special promotion applies to all purchases made at Vivo Store or at vivo retailers throughout Indonesia; or through the official Vivo online store, such as Shopee, JD.ID, Lazada and Akulaku. Vivo Indonesia also presents the # V11ProIndonesiaJuara campaign, including the "Indonesia Champion, V11 Pro Full Cashback" promotional program, where every Vivo V11 Pro Champion phone purchase on Shopee.co.id will receive a full refund. Champion of the 2018 Suzuki AFF Cup running from November 8 to December 15, 2018.